This is a lovely little how-to on walking at midnight. Tip #1 is bring a partner (seriously, please! that would be a little risky otherwise). Take a romantic stroll this weekend, or just grab a good friend for the kind of talks that can happen only after midnight. 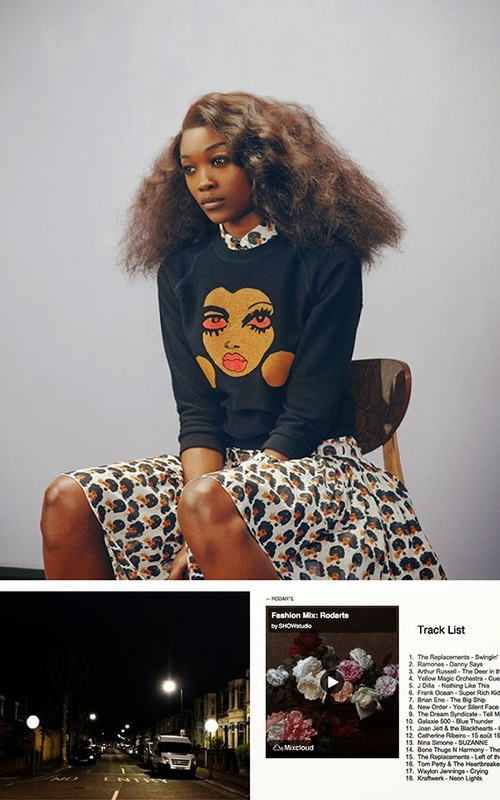 Somehow this mix seems appropriate from the two very pop culture inspired Rodarte sisters. It’s heavy on the nineties rap (J Dilla, Bone Thugs N Harmony), eighties rock (Galaxie 500) and eighties electronic (Kraftwerk). Caitlin showed us this amazing Diana Ross-inspired collection from designer Peter Jensen and illustrator Julie Verhoeven. We love the take on Diana Ross with leopard print. This dress with the lips print is pretty much the hottest thing we’ve seen lately.